Shopping for Superman Bobble Heads? Superman bobble head in modern costume! Faster than a nodding head! 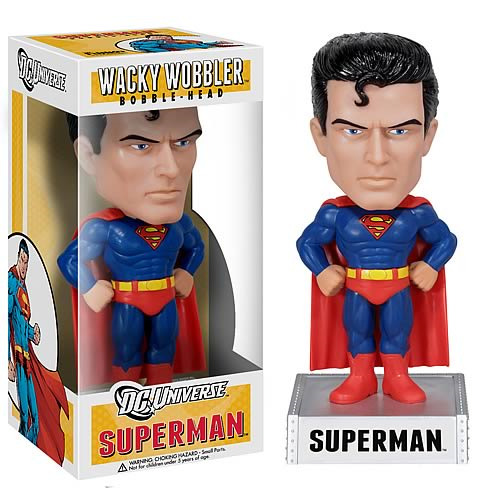 Clark Kent to the rest for your bobble head collection! Justice League member Superman stands heroically 7-inches tall including the display base which displays his name. His head bobbles as he stands in his modern blue and red costume, as seen in DC Comics. Ages 5 and up.